nla.pic-vn4270311 PIC P1029/43 LOC Album 935 Sutherland, 29.5.83 [picture] 1883. 1 photograph on carte-de-visite mount : albumen ; 9.4 x 5.6 cm., on mount 10.4 x 6.4 cm. James Sutherland was executed at Hobart, 4 June 1883 for the murder of William Wilson at Cleveland. 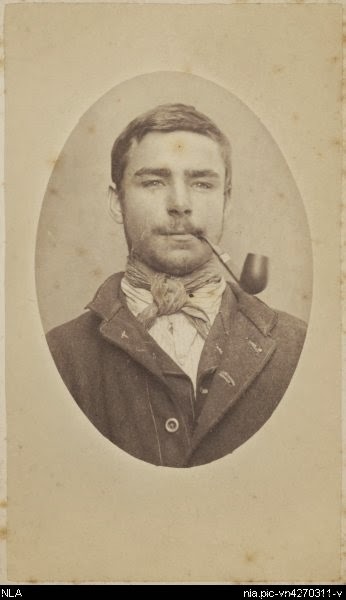 He was photographed by Constable John Nevin on 29th May, 1883 at the Hobart Gaol. 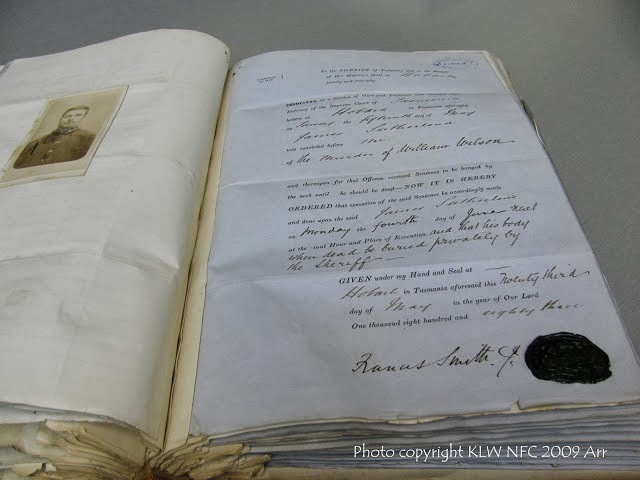 Sutherland’s death warrant with another carte by T.J. Nevin held at the Mitchell Library NSW. This carte is hand-tinted, and was taken days before the execution.